Jaime Schwartz has represented both buyers and sellers in the luxury home market, including sales in the multi-million dollar range. She has the knowledge, contacts, and skills to sell your home and our attention to detail and direction allows her to locate the perfect home for her buyers. Jaime is a high-producing Realtor with Waterfront Properties and Club Communities. She has represented buyers in multi-million dollar transactions and listed million dollar homes as a veteran in the luxury home market over the past 10 years. Thanks to Jaime's exceptionally loyal clientele, personal referrals, and repeat business that form the foundation of her career, her contacts are now worldwide. 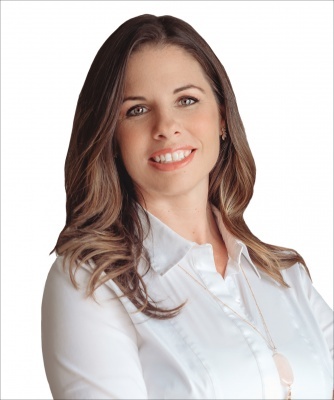 Jaime's eagerness to expand her business and real estate knowledge through research, reading, and listening to what other successful agents have learned is a major key to her accomplishments. She has been accepted into The Institute for Luxury Home Marketing as a Certified Luxury Home Marketing Specialist (CLHMS), confirming that she is professional and has successfully proven her expertise in the luxury home and estate marketplace in the top 10% of her field. She is also recognized as a member of the prestigious and distinguished Million Dollar Guild. Over the past thirty years we have built a dedicated service organization committed to assisting you when you are selling or buying on the water or in club communities. In 21 Southeastern Florida towns between North Palm Beach, Jupiter, and Stuart, we offer waterfront and club community properties from $250,000 to over $50 million. Our specialists can give you quick and accurate information because they are specialists, not jacks of all trades. Each agent only markets properties in confined part of our 21-town area.That\'s why we can offer an uncommon level of service.